The Ridge Nature Area encompasses 308 acres of natural beauty providing a glimpse into contrasting ecosystems, passive recreational experiences, and environmental exploration opportunities. 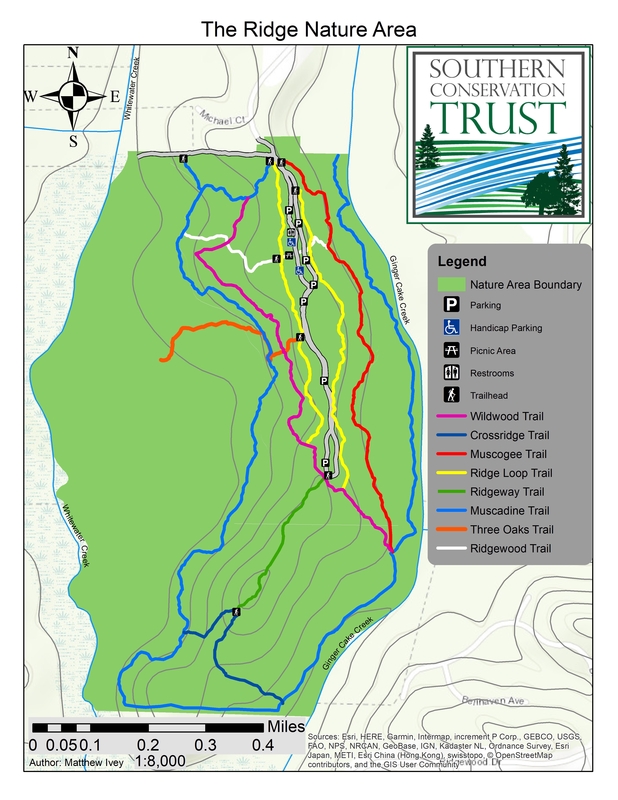 With over seven miles of trails, the Ridge is frequented by patrons hiking, trail running, and mountain biking. The top of the Ridge provides easier walking trails that wind through the upland pine habitat. As you work your way around the Creek Trail, you get to experience the bottomland hardwood areas along Gingercake and Whitewater Creeks. The wide range of elevation change and differing trail lengths provide opportunities for anyone that wants to get outside and enjoy the beauty of the Ridge. 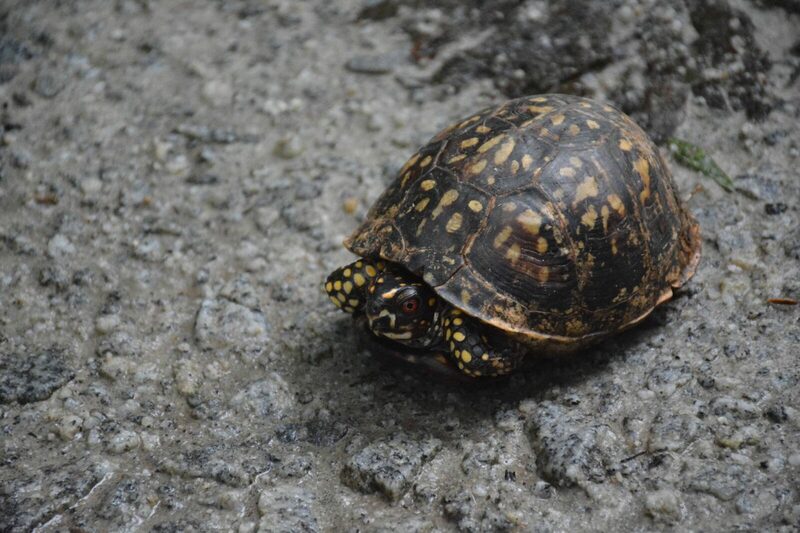 Frequently seen wildlife include eastern box turtles, a multitude of songbird species, armadillos, hawks, white-tailed deer, and the occasional barred owl! During certain times of the year, keep an eye out for mesh cages along the ground and be careful not to disturb them! These are part of a research project going on at Clayton State University, studying the movements and nesting habits of eastern box turtles. While many of our visitors like to bring their dogs along for the journey, we would like to remind everyone that dogs are required to be on a leash when at the Ridge.